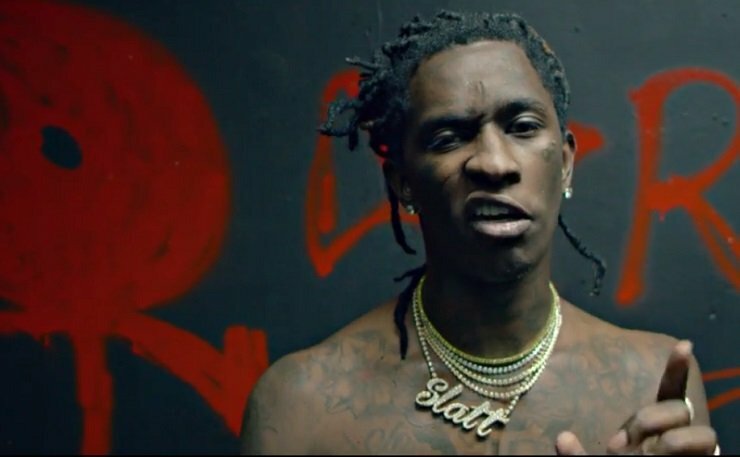 Young Thug has had his bond revoked and is back in jail on felony drug and charges, stemming from a failed drug test. Court records show that the rapper born Jeffrey Lamar Williams failed a drug test prior to a scheduled arraignment this morning, according to reports by The Blast and Pitchfork. The arraignment was related to an arrest made in September 2017 when Williams was pulled over in Brookhaven, GA, for having an illegally tinted window. Police reportedly found 2.5 ounces of marijuana, $50,000 in cash and additional drugs inside the vehicle. This past September, Williams was hit with eight felony charges in relation to the arrest, which included possession and intent to distribute meth, hydrocodone and marijuana. After turning himself into authorities at Georgia's DeKalb County Jail on September 11, Williams was released on bond two days later. As previously reported, Williams was also arrested this past August while celebrating his 27th birthday and the release of his Slime Language project. He followed that release up with his On the Rvn EP.